Our health sciences students get many opportunities to receive hands-on experience in labs, hospitals, and at numerous health fairs throughout the L.A. community. 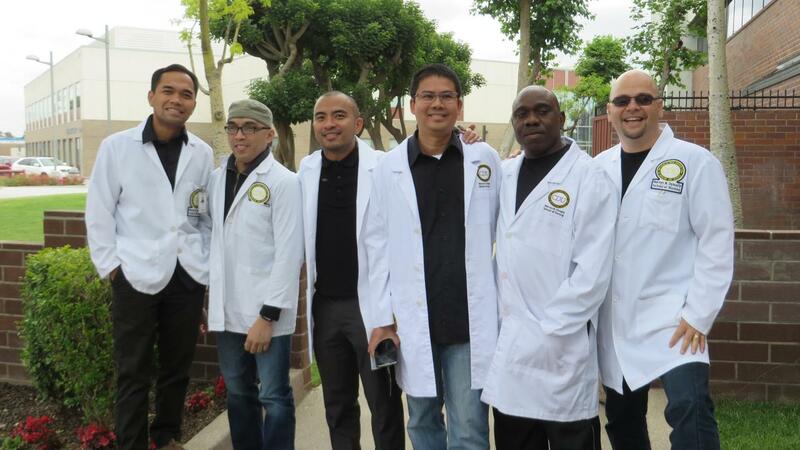 The numbers of male students in nursing is growing dramatically. State of the art classrooms have a mock hospital ward complete with exam rooms and operating rooms. The Mervyn M. Dymally School of Nursing (MMDSON) seeks to advance the science and art of nursing by conducting nursing research and providing nursing students with high-quality education that emphasizes the health status of underserved communities, for the purpose of enabling graduates to provide evidence-based nursing care with dignity, respect and compassion to all nursing clients. Dr. Breckenridge has served as a college Vice President, Executive Dean, Chair, and Chief Nurse Administrator, as well as on the executive team and boards of Health Care Systems. Her two Postdoctoral Training and Fellowships funded from the NIH and the Oncology Nurses Society were completed at the University of Pennsylvania. She received her PhD in Nursing from the University Maryland, and her MSN from the University of Pennsylvania, as well as graduate credits from their School of Education. She is a recipient of millions of dollars in grant and donor funding for targeted Strategies for Success programs supporting educational access and advancement of underserved, diverse students and nurses. Her award winning theory-guided, evidence-based Research Approach in Nursing (RAIN) program expanded to interdisciplinary collaboration has brought forth Magnet Designation to Health Care Centers, the Magnet Honors award, and numerous other local, state, and National awards including a Kaiser Permanente Award and the Spectrum Mentor Finalist Award. She received the Global Citizen Award and HRSA grant awards for her Strategies for Success Program supporting underserved and underrepresented students. A Strategies-for-Success Center was developed at La Salle University and the School of Nursing Library at Abington Memorial Hospital Dixon School of Nursing, in Philadelphia, PA, was named after Dr. Breckenridge. This past year, the International Neuman Trustees Group named the Diane Breckenridge Practice Center Fellows program in which 5 nurse scholars per biennial will be named in her honor. Her international work has taken her to China, Russia, Hungary, Japan, Belgium, Australia, Canada, England, Ireland, and most recently to Cuba for health care education and to study the differences and similarities in health care systems. In her 40 plus years in education, practice, research, and leadership positions her specialty has been honed in regional, national, and nursing program accreditation and policy regulations as a turnaround specialist in the prevention interventions of noncompliance. She is also known for her startups and further development of undergraduate, RN to BSN, Masters, and Doctoral programs, as well as ANCC Continuing Education and Certificate programs. Dr. Breckenridge has completed facilities design of Schools of Nursing, and worked on numerous Health Care Facilities’ committees for 5 hospital and educational systems, including spearheading 9 simulation laboratories in collaboration with Nursing Initiative and Blue Ribbon campaigns.